Candice saw a painting that she wanted in the gallery and had already decided she was going to buy it. 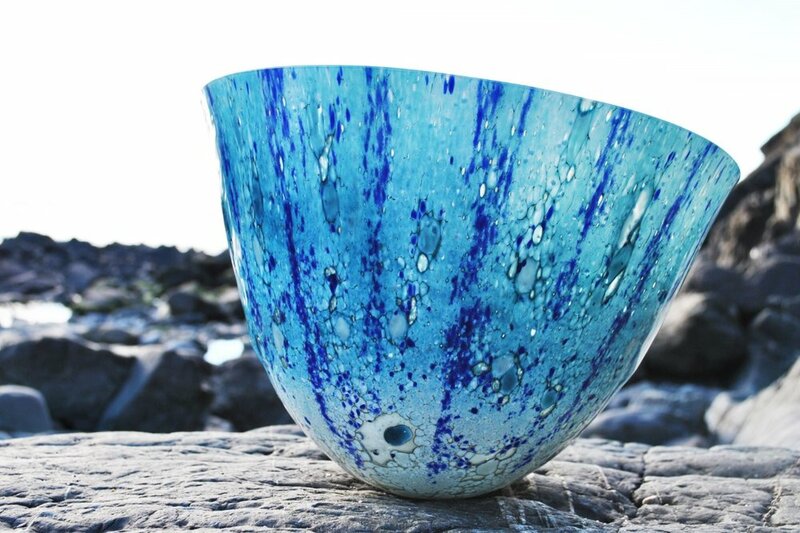 She then noticed Gregg Anton-Race’s Caspian Bowl, attracted by the light shining through the glass and the blue vivid sea colours. It was the perfect piece for her. The only problem being was how was she going to get it home. I suggested she carry the piece on board as that way it would be protected. She gave it some thought but the main deciding factor was her friend’s offer to take it for her. What a wonderful demonstration of true friendship and showing once more that where there’s a will there’s a way.